Looking to make the most of your camera? 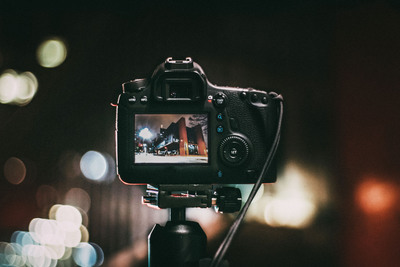 Take your skills further by coming along to our Night Photography class, where you'll learn some creative camera techniques whilst adding some shots to your personal portfolio! 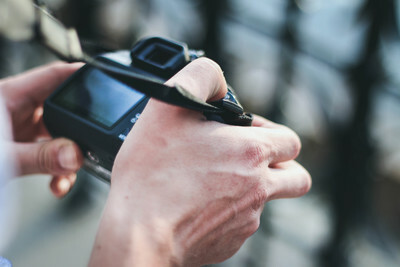 Want to take your camera skills further? 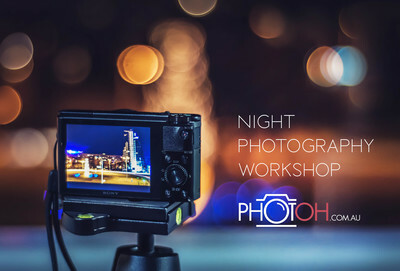 The Night Photography Class is perfect if you are looking to get creative and take professional standard shots. Tired of getting blurry and out of focus shots? This class will help you make the most of your camera and learn how to take great shots every time. This is a very hands-on class, so you’ll have plenty of time to practise your new skills on the day and take lots of shots! 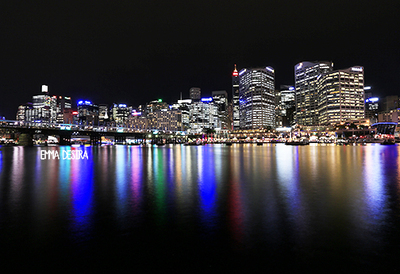 We'll be walking around Darling Harbour and Pyrmont to make the most of the photo opportunities. A DSLR camera, or a camera with manual mode is best for this class (with either detachable or built-in lens). Please also be sure to bring plenty of memory cards and fully charged batteries - we'll be taking lots of photos! A tripod is essential for this class. Well organised and informative. Very knowledgeable and friendly instructor in Chloe. It was really well run by the wonderful Chloe with interesting tasks and a great location. I was amazed by how much I learnt from the work shop. Chloe was excellent and I would definitely recommend PhotoH! I enjoyed the class very much and learned a great deal from Chloe. By following Chloe's instructions I was able to beautiful pictures at night. The class was better than I had expected. Chloe took us around Circular Quay and walked us all the way to the Rock to find spots with beautiful views for our Vivid pictures. Chloe extended the session 30mn longer so that we could make the best of our Vivid photography experience. Above all, Chloe cared about the learning experience of her students. She was always there for us to answer questions and helped with our camera work. Thank you kindly Chloe. You made my learning experience very enjoyable and satisfying. Well worth the time. Chloe was very knowledgeable and easy to talk to. Chloe gave me some very good tips to improve my photography. 5/5 By Paul Barker. I learnt a skill again from your brilliant instructor that will be a benefit for all time.very well organised and professionall run. Great interaction and support from Chloe, as we were just 2 people great opportunity to discuss and explore skills for night photography. Good class size, instructor was enthusiastic, patient and knowledgeable. Didn’t feel rushed, content was about right for the allocated time. This was a great class, we received excellent tips and were spoilt by having student teachers and a very small class for the night. We received one on one tuition from Zac, Chloe & Krish, thanks to them all. Thoroughly enjoyed it. It was a small group so I got lots of individual attention. Would definitely recommend. Nick is an excellent instructor. He quickly identified each of the student's needs and tailored his discussion according to their level of expertise. The course itself was great. If you can take away just 1 new skill then the night is a success. I took away not that one important tip but I was able to connect the dots on some details I was struggling with. Excellent night, great locations and great teacher. Zac was a great instructor , work with each of the group, I learnt a lot about night photography and had a better understanding of my camera. Was a fun way to see Vivid. A mid week night was definitely a good choice. Excellent communication from Zac before making it easy to find in the crowd and ensuring we were able to move around the different areas. Great, Excellent instruction and Steve was fantastic. Zac our instructor was very patient and very helpful without taking over. Really glad I did this. It was just fabulous! I lerned so much. Knowledgable teacher. Personable, happy to impart his knowledge. Learned a lot in a short space of time. Generally satisfied with the time I spent. I really enjoyed it, and the instructor was great!! 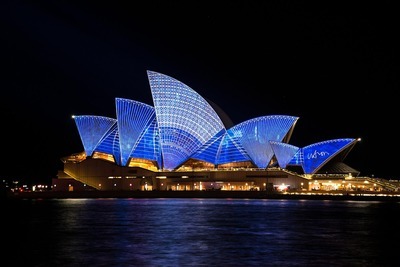 Sydney put on a show like I had never seen before for Vivid, and the instructor was able to create an intimate teaching environment despite the crowds, a credit to him!